When receiving a phishing email, please follow the steps below to mark it as phishing. NEVER click on any links within a suspicious email. 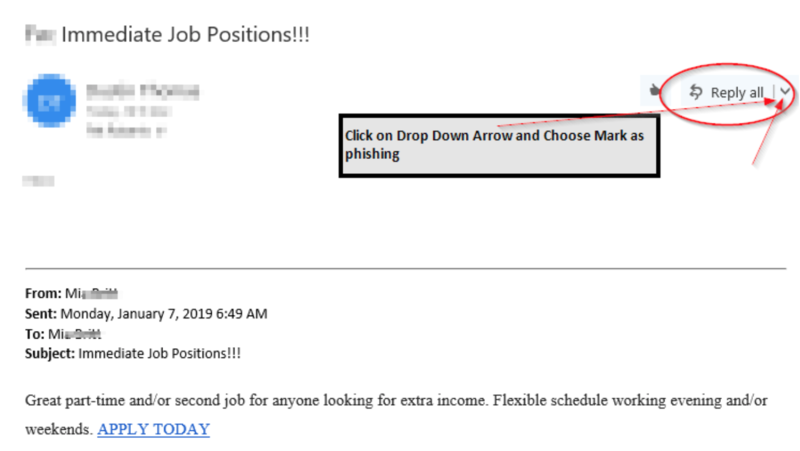 Sometimes phishing emails come from a recognizable source like a friend or colleague. These attempts are not always immediately obvious. Due diligence is required. The phishing email will be removed from your inbox and will be reported to Microsoft. By doing this, the system will learn to eliminate threats before arriving to your Inbox. You may always forward any suspicious emails to our IT Service Desk, servicedesk@bellevuecollege.edu OR virus@bellevuecollege.edu. Check out this knowledge base article I found in the Bellevue College knowledge base. 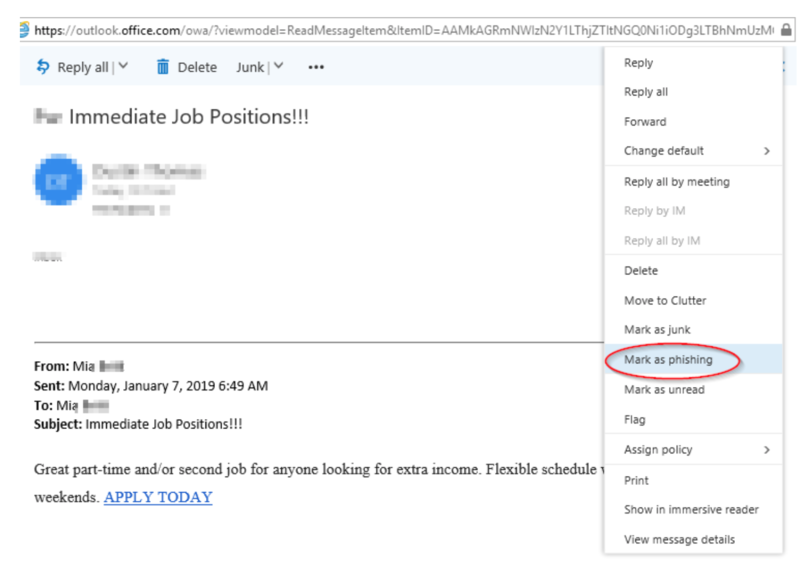 https://bellevuecollege.teamdynamix.com/TDClient/KB/ArticleDet?ID=69752 Mark an Email as Phishing in Office 365 Follow the steps to mark a suspicious email as phishing.